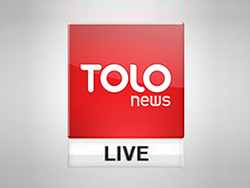 Two Police Officers Killed, Three Injured in Laghman Roadside Blast | . :: Elections 2014 ::. Officials of eastern Laghman province on Sunday said that two police officers were killed in a roadside bomb blast in Alishing district of the province on Sunday morning. The officials added that three other police officers were also injured in the blast. "The incident took place in the Islamabad area of Alishing district, after a police vehicle with five officers inside struck a roadside bomb," the Provincial Governor said in a statement. "They were traveling to Salab area of the district to respond to an insurgent attack on a police check-post," the statement added. The incident happened after a female police officer was injured during a gun-battle with two unidentified gunmen in Lashkargah, the capital of Helmand province on Sunday. "The incident took place at around 8:00am in Lashkargah, the capital of the province, when Negara was on her way to the office, and two unknown gunmen riding a motorbike shot and injured her," said Omar Zwak, the spokesman of the Provincial Governor. Negara is 50-years old and has been working for over 30 years as a policewoman in the province. Recently the Taliban had threatened her to leave her job or be killed. Back in August, a policewoman was killed by insurgents in Helmand. Islam Bibi, was a Lieutenant, and had received a number of death threats from the Taliban prior to her assassination.